Local partner organizations and sales of Bass Conservation License Plates help fund fish attractor projects. Fish attractors can act as miniature sanctuaries for all types of prey species, providing them with food sources and protective structure where there once was none. Predator species are then drawn to these sites to take advantage of the available prey. Well-placed fish attractors can benefit boat and shoreline anglers by attracting preferred game fishes to a particular location. Anglers armed with the locations of these fish attractors can easily take advantage of these new concentrations of fish. Many partner organizations around the state have worked with TPWD to create and install fish attractors in their favorite reservoirs. Visit Friends of Reservoirs for more information about these collaborative habitat projects. 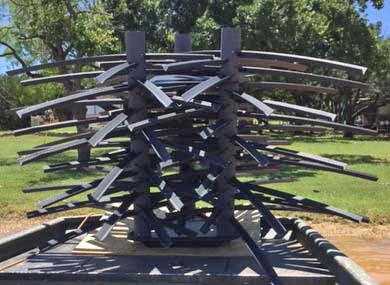 Below are some examples of fish attractors currently being used by TPWD and its partners. Brush reefs - Fish attractors can be made from recycled Christmas trees or from trees and brush cleared from ranches and park land. 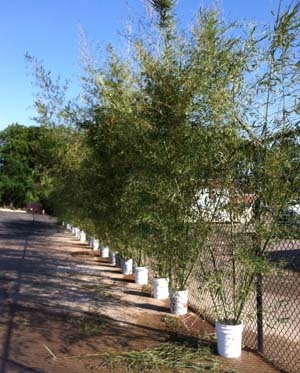 Trees are usually weighted with concrete blocks, individually or in bundles. If using Christmas trees, be sure to remove leftover ornaments, tinsel, or flocking, as these items can be harmful to fish. Crappie condos - Made with 3- to 5-gallon buckets, cut bamboo stalks, and concrete. These can be made in a variety of shapes and used in varying water depths, depending on the diameter and height of the bamboo cut. The weight of the concrete and air pockets in the bamboo keep the condos in an upright position underwater. Despite the name, these structures are known to attract and hold forage and sport fishes of all types. 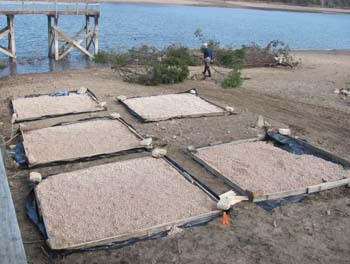 Gravel beds - Placed under piers or near bank fishing areas, gravel beds provide spawning habitat for sunfishes. They are composed of one-inch average diameter limestone or river gravel laid into a bed of 5- to 6-inch thickness in water two to six feet deep. Depending on the underlying soil composition, these structures may be lined to keep them from sinking in soft sediment. Sunfish will be attracted to these beds spring through fall. PVC cube - Developed by the Georgia Department of Natural Resources, this type of attractor consists of PVC pipe connected at the corners with corrugated drain pipe inlaid in an irregular fashion through the cube. This creates tight spaces for small fish, while also providing bigger spaces for larger fish to hang out and ambush the smaller fish. 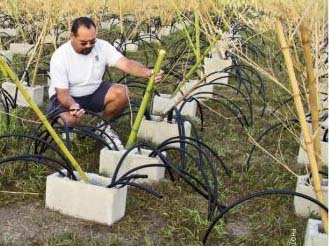 Spider blocks - This "artificial shrub" consists of a cinder block lying on its side with an assortment of PVC pipe, bamboo stalks and irrigation tube inserted in each hole and cemented in with quick-set concrete. Store-Bought Structure - Fish habitat is also available on the commercial market. Some companies have partnered with TPWD to deploy these devices in various configurations.